For the more child-like of us out there in the underground, big news! Note; we said ‘Child-Like’ NOT ‘Childish’! 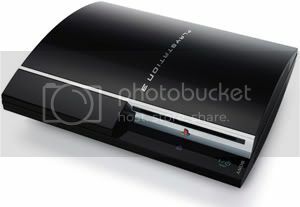 Sony Corp.’s PlayStation 3 was released to U.S. retail on Nov. 17. People waited in line and many received one of two newly released units. The more basic model costs around $499.99 and comes with an upgradeable 20 GB hard drive, Gigabit Ethernet, Blu-ray drive, four USB 2.0 ports, optical digital audio output (SPDIF) and an HDMI 1.3 port. The premium version is a bit more expensive, at $599.99, but it uses a 60 GB hard drive and adds built-in 802.11b/g Wi-Fi plus card readers that support SD, Compact Flash and, you guessed it, Sony’s Memory Stick. Neither system comes with an HDMI cable, so if you have an HDTV, you’ll want to make sure you buy one of those. Know this though, it will probably be hard to get your hands on a PlayStation 3, anytime soon at any price. Although Sony planned to have 400,000 units for sale in the U.S. on launch date, most analysts say the actual first-shipped number was closer to 200,000. Not to worry, though, I’m sure they’ll have everything ready for you by, or just after, Christmas.